In this episode of the #PressForward podcast we’ll be hearing stories from two people in the WordPress community. First we hear from Phil. He talks about his recent experiences with panic attacks; how they were often caused by pressures from work and how they came to rule his life. Phil is the owner of a fast growing agency and was under pressure last year as the agency was growing. He hear about how he managed and how he was able to use the services provided by WP&UP to support himself. Laura works in the UK for Pragmatic, a large and growing agency. Last year Laura had to take some time off work. This ended up being longer than she’d anticipated. From Laura’s point of view, this created anxiety about whether or not her employers would still view here in the same way when she returned. She began to think that perhaps they would no longer require her service. What unfolded was a journey in which both sides, Laura and Pragmatic learned how to best support one another, to respect the situation as it was, and work towards the common goal of getting Laura back at work, which is where she wanted to be. We hope that you feel able to subscribe on iTunes or whatever podcast player you’re using, and we’d certainly encourage you to share this new endeavour wherever you can. Thanks for your support of ‘The #PressForward Podcast’. 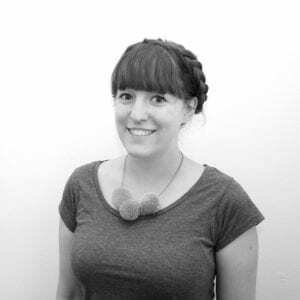 Laura is the marketing manager at Pragmatic, a UK agency based in Brighton. 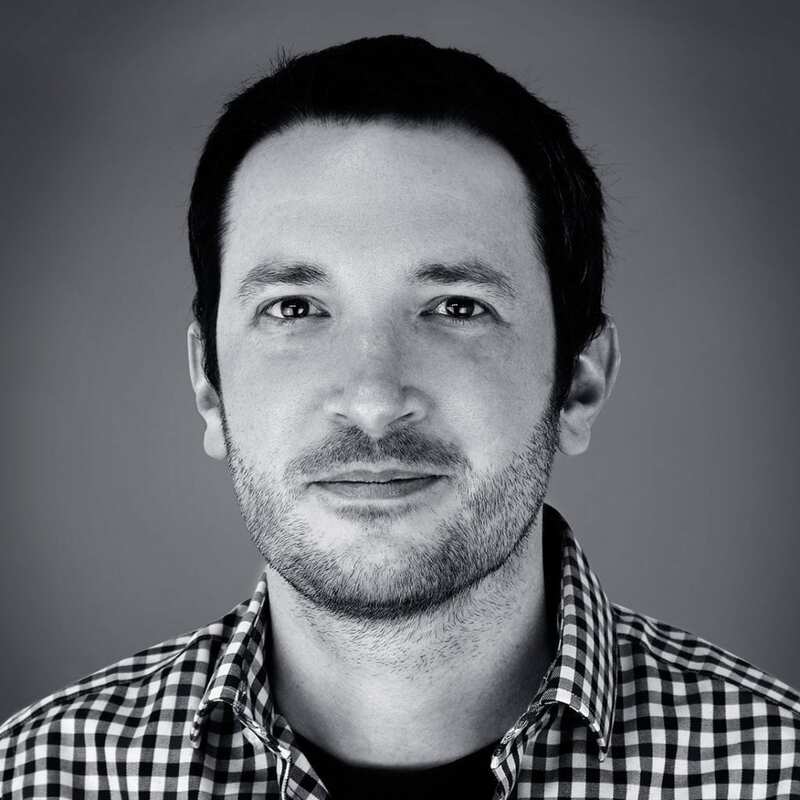 Phil is the Creative Director at HappyKite, a UK based agency. Your data will only be used to send information directly related with The #PressForward Podcast. We will never sell, rent of otherwise abuse your personal data. Nathan Wrigley: 00:00 Welcome to episode two of the podcast. It’s still early days, but we’re so glad that you’ve joined us. One small, you may be wondering what WP&UP is all about. Well, we’re a charity working in the WordPress space trying to support our community. Our help is freely available. At wpandup.org or you can call +44 20 33 22 10 80 this support is available for all sorts of reasons. It might be that you’d like support with your business, your skills, or possibly with your mental or physical health, whatever the reason might be. Please reach out. Often we don’t like to admit to ourselves that we need support. We carry on and hope that things will just go away if we ignore them or just work harder. Admitting to ourselves that we’d like support is one thing, but admitting it to others can be another greater challenge. Nathan Wrigley: 01:21 One of the aims of this podcast is to bring new stories from the community, from people who have been through this process before. They’ve come to realize that speaking to somebody about what they’re going through can help. These stories can be very personal, but they shine a light on subjects that are all too often left in the dark. Perhaps some of the areas that we cover this week or something that you can identify with, you might be facing the same set of events. Of course, it might not be you. It could be someone that you know, a friend or relation a colleague. The point is that by sharing these stories and shining a light on them, we make you aware that it’s okay to open up about these things and maybe even seek out some support from WP&UP as of the recording of this podcast, we provided 792 hours it mentorship and amazing 3,302 hours have been donated by the many people who are now volunteering for WP&UP so with very serious about supporting the WordPress community. But we’re just getting started. Nathan Wrigley: 02:36 If you’d like to help WP and not financially, then please visit WP and aarp.org forward slash. Give if you would like to get involved with WP&UP, then please visit WP&UP.org forward slash contact or looked for the social links in the footer of a website today. You’re going to hear from two people first Phil and then Laura. Phil, we’ll be talking about his recent experiences with panic attacks, how they’re often caused by pressures from work and how they came to rule his life. So this is a trigger warning that we will be talking about anxiety and recovery. If you are impacted by this subject, you can skip this section, which is roughly nine minutes in length. When I spoke to Phil, I learned that he’d been experiencing panic attacks for about six months and so I began by asking him how they had started. Phil Morrow: 03:39 Yes. Yeah. It’s been a tough, tough year. It started I think in summer or an agency and we’re now seven people and that was the growth. It’s really happened in the last year or 18 months, pretty much smaller prior to that we started taking on bigger projects and there were issues with some of those projects over the summer. Yeah. As things started, it’s not go so well and all of the finances or the numbers and business are getting bigger than I liked. Some of they used to. I started to really struggle and yeah, I found myself in a place where, um, it was, it was tough. It was very, it was very challenging with, we had a family holiday, we meant to go on and August and uh, I actually returned from that, um, leave just because I felt I couldn’t be away from work. I needed to, the anxiety of starting to get so great that the only way to appease it was to actually be working. Phil Morrow: 04:29 That at the same time it wasn’t really being very productive and work. It was mostly just sort of spinning my wheels, fretting and then it all came to a head in early September. Um, when I just, out of nowhere started having quite a bit panic attacks and s for me that was hyperventilating and I found I would routinely find myself on my hands and knees struggling to, to breathe and breathing very rapidly for about a minute before we come down. And sometimes after that I would also then find that I would either be sick, I’ll be very close to being sick just from, I don’t know, the adrenaline or something of, of, of it. Um, so yeah, that was very, very, very tough. And once it happened a few times, it’s sort of almost open the flood gates and, um, even just the smallest thing and starts to trigger panic attacks. Phil Morrow: 05:13 I would sort of get up and I’ll try to keep going and I sort of felt the way to solve this is to work more, work harder. So I’d get up, I’d try and get in the car to, we’ve, we’ve gone office of hybrids. People can work from the office, but sometimes they work from home. Um, and I tried it, we tried to go to the office and just the thought of going to the office would sit with, send me sort of spiraling and I’d have another panic attack and of to the point where it was almost impossible for me to even do any work of any kind or even really do anything. Um, so yeah, not, not a great time. Nathan Wrigley: 05:45 What is a panic attack in your, in your description? How, how does it manifest itself? What actually happened? Phil Morrow: 05:52 Yeah, so no, I um, my wife and I were caught. We would just, we refer to as spiraling. And so what would happen was something minor. It was always generally minor would happen. I’d get an email from one of my clients who are having difficulty with where one of the projects was behind or there was something they weren’t happy about and the emails didn’t even need to actually be a problem. I would just see it coming in on my phone. I’d see who it’s from and I’d start to worry, this isn’t going to go very well. This is going to lead to problems, that science going to be late. As a result, they’re going to refuse to pay us were therefore not to have to pay our team. People are gonna lose their jobs. The business is going to go under. I’m going to therefore not be able to pay for them, pay for my family to support my family. We’re going to lose our house. Our children aren’t going to have to go to their school. And, and, and all of that would happen in about a one minute period as a result of just seeing a subject line of an email and by the end of this I would then be, um, yeah, as I said, I’m still on hands and knees on the floor wherever I was and hyperventilating, breathing very, very rapidly and I didn’t have the ability to do anything to change my, the way I was thinking it would just, it would just happen and they basically couldn’t control that. Nathan Wrigley: 07:03 Did you have to just let it run its course? Um, come out the other side before you were able to carry on? Yeah. Did it take a minute, an hour? Was it variable? Phil Morrow: 07:13 Yeah, it would generally. It would take, it would take about a minute, two minutes to, to kind of get through that and come out the other side. The problem was that some of what we were facing weren’t trivialities they were real, real issues. We were dealing with projects bigger than we’d ever dealt with before. And I for a lot of agencies that still small projects, but for us the size of the, you know, the size of the money was sort of talking tens of thousands of pounds now. Whereas we used to be more in the thousands up to sort of 10,000. So we’re talking much bigger numbers and for us at least. And so when there was a real problem, um, and I knew it was a real problem, it would, the panic attacks would be more like chains of panic attacks that happen throughout a day. And it would be a whole day basically lost two. Yeah. Anxiety really. Nathan Wrigley: 07:57 So setting aside the, the solutions that you might have come up with to make the agency work or efficiently, just concentrating on what you did to help yourself. Did you, did you know where to reach out to? Did you get help from a particular source? Phil Morrow: 08:14 No certainly at the beginning I did. And I think that’s why I managed to get as severe as it did because although I feel I’ve got a good support network in my family, in my professional life, there wasn’t really anyone I knew that I could turn to. And it took me getting to the point where I couldn’t do anything. That I took a leap of faith I guess, and reached out to someone I didn’t really know. But I knew what I knew would have cause they run a run, a much bigger agency would have done some of this and they pointed me towards dopey and up and yeah, I guess the recovery started that ready. Nathan Wrigley: 08:44 Did you, when you’ve been working with WP&UP, have you been using chat support or speaking to somebody? Phil Morrow: 08:51 Yep. No, it was very fortunate that, um, yeah, both of those, so a few days I was able to speak to somebody it’s okay or not and has a, I think it ended up taking all my stuck at two and a half hour Skype call where I was, I was just talking about why it was how I was feeling, what I was dealing with it. I can’t stress how important that was at the time. Um, it was to be able to just talk to somebody else who was in our industry who had experienced that at the same problems. You know, everyone’s had no nightmare clients, things like that. Um, so if you had to speak to him in the head of experienced that and just listen and not, not be judgmental, um, and actually know that what I had had been through is a lot more common than I appreciate it. I wasn’t broken and it’s not, that was really significant. And then for now, yeah, several calls via Skype and then also in the community. So chatting with people there. Um, but I’m just kind of let other people that had issues more like mine, which would be really helpful. Nathan Wrigley: 09:46 Would you say that you’ve moved forward with this? That not necessarily that it’s behind you but that you’ve, you’ve reached a different place than you were a few months ago. Phil Morrow: 09:56 Yeah. Yeah. 100%. That’s still, bad days, but nothing like nothing like sort of September, October and time and part if that has been down to the skills I’ve learned through dopey enough and the people I’ve spoken to there about things like mindfulness something already tried before. But just respecting my brain a bit more and thinking about my own thoughts and trying to more deliberately have more positive thoughts and you know, see how that goes. My thinking about it is the um, my brain’s like a computer and a case and it’s just getting to float up. And mindfulness. I quite like cause it’s just almost like, cause like turning it on and off again and everything just runs a bit more smoothly so that I’ve been doing, which that’s, these are things that I wouldn’t have, I didn’t know to look for and it’s been by talking to other people that have experienced it that has said that and the other one for me it’s been, there’s been exercise. I tried to get out of the house basically every morning and so me, I tried to run two or three times a week. If you’re having a bad day, it’s really hard thing. Go and go for a run. So I will force myself to go out of the house and even just walk for five minutes around the block just to be like, out and that’s helped a lot. Nathan Wrigley: 12:04 For WP&UP to carry out its work. We need your support that could just be listening to this podcast or perhaps donating your time or money. Individual donations can be made at wpandaarp.org forward slash give. Sponsorship is also an option and sponsoring WP&UP is a cool thing to do. You’ll be supporting this important work that we’re undertaking and you can also be featured on the podcast like this. Nathan Wrigley: 12:37 The press forward podcast is brought to you today by Green Geeks Green Geeks offers an awesome managed web hosting platform that’s built for speed, security and scalability while being environmentally friendly. Enjoy a better web hosting experience for your WordPress website backed by 24 seven experts support we hank Green Geeks for their support of the press forward podcast. Nathan Wrigley: 13:24 So right at the start of this podcast I mentioned that we’d be hearing from Laura. Laura works in the UK for Pragmatic, a large and growing agency. Last year, Laura had to take some time off work. This ended up being longer than she had anticipated. From Laura’s point of view, this created anxiety about whether or not her employers would still view her in the same way. When she returned, she began to think that perhaps they would no longer require her service. This is an understandable reaction. Her agency had not had to deal with someone who had taken time off on mental health grounds before. What unfolded was a journey in which both sides, Laura and Pragmatic learned how to best support one another to respect the situation as it was and work towards the common goal of getting Laura back at work, which is where she wanted to be. So this is a trigger warning that we will be talking about anxiety and support. If you are impacted by this subject, you can skip this section which is roughly 10 minutes in length. I began by asking Laura if she was nervous about her position within the agency and the process of returning to work. Laura Nelson: 14:46 Yes, the I had the exact same fear, I thought or oh no they’re gonna fire me when I get or not look at me, you know, the same way and it wasn’t my that tool are you or they won’t mind me saying this. I was the first of a person that Pragmatic to be signed off with a mental health issue, so it’s not something they had loads of experience with or appetite for that what they did do, which was fantastic, was say that they were honest about it and they took the time to have a four. I came back to work. I had a couple of lunch meetings, super informal again, they were, they stressed very much. If I didn’t feel up to it, I didn’t have to attend, it wasn’t a compulsory thing, but they took the time to speak to me and try and understand what was going on. Laura Nelson: 15:37 And what they could do to make things better for me. And that in itself was just brilliant and yeah, they were, you know, honestly we don’t know exactly what to do in this situation. However, we would love to, we really want to help you and ensure that anyone else who goes through this is aided in the same way. So what can we do? And we talked about it together, you know, it’s key just making sure that we’re communicating on a regular basis and again that we were both being very honest with each other about what I needed, what they wanted from me meeting, you know, making sure we were aligned. Right. Nathan Wrigley: 16:25 Quite a nice, I don’t know if what I’m about to say is true, but from what you’ve said it feels like what I’m about to say is true that they did us or like lunch meat. And did you do that outside of your work environment? Was it… No, outside of working environment, quite clever. Either clever or great accident because I think it may be going into your workplace and seeing all your colleagues and then having this chat. It would, would it felt very different. Laura Nelson: 17:18 Yeah it has. Before that meeting, even though there’s nothing in how they said, you know, invite to be for me to not said, but they, it was a meeting to see when I’d be back and you know, checking up on what was actually happening or anything negative but naturally my whole now, you know, I’m already going to come out of this meeting feeling pressured to return to work and it wasn’t the case at all. First thing I think my manager said to me was after asking me like, are you okay? Um, was, by the way, this is, no, this is not to pressurize you into coming back, work back to work at all. If you need more time off than what’s being initially signed off, that’s absolutely fine. We just want to make sure that when he did come back, when you’re ready, it’s going to be a, you know, the right environment for you. Nathan Wrigley: 18:07 Presumably whilst you were away, either your work became frozen in time or you, somebody else took up the slack and tried to do, uh, what did, what it was that you had on the books? Do you know what happened during your absence? Laura Nelson: 18:25 I’ve got a quite a unique row at Pragmatic, so, uh, I’m, I’m the only person in the marketing team. My manager is the commercial director. He obviously he has a huge influence in a marketing strategy and what we do, but he doesn’t do the day to day stuff. So it was pretty much put on hold until I came back bar a few time sensitive tasks. Um, and when I came back there was an enormous pressure to catch up again. I think I was quite fortunate in that I work, I’m an internal resource for Pragmatic. Um, so I was expected, you know, there’s no clients waiting for me to deliver, any work. However if it had been the case, I’ve, it’s unlikely that I’d be on a team on my, I just thought would it be dealt with anyway? There’s plenty of us here to pick stuff up. Nathan Wrigley: 19:27 Did you figure out for yourself that you didn’t have to make up for lost time? Because I’m sure, I’m sure that in a lot of businesses and industries, uh, each day that you’re off equates to a day that you’ve somehow got to get back and work extra hard when you return and you’ve just said that it felt like, um, that, that um, those four weeks where it was okay, you know, you didn’t have to suddenly make up for four weeks. Was that made explicit to you or did you just sort of figure that out for yourself because you work in a team of one? Laura Nelson: 19:57 They knew what I’m like, I think I’ve already mentioned that like, Oh, you know what? I think in that lunch, main thing I was, I said to my manager, I was like, oh know, don’t worry. I’ll figure out a plan to catch up on everything. And he was just like, Laura, would you stop it to me? It’s all like, hey, break it down. And it’s just, it’s just a digital marketing agency in the world isn’t going to end if you don’t do it. Nathan Wrigley: 20:30 What a thoughtful way of dealing with you. It’s amazing the environment that you work in. Presumably it’s, it’s an office, you know it’s got walls and computers and desks and all of that kind of stuff. It has something, since you’ve experienced all this, as the company kind of come up with a strategy, a policy for fo for you and other people should the same thing happen again. Has it been kind of like confirmed as a, this is what Pragmatic will endeavor to do? Laura Nelson: 21:01 I worked quite closely with the people operations team and I came back to talk about what I would find useful and that’s what other people might find useful. We already had a flexible working policy in place, but it wasn’t, it wasn’t as explicit as it is now. So for example now if you want to work from home or from a coffee shop, you want to really, you know, whatever your environment suits you and staying with the times that you come into work. I think it’s just been better communicated. But if you want to come in late, late, it’s just we’ve got, I think if we can start anytime between 8:00 AM and 10:00 AM even suppose like sort of core hours until you know, four and five in the afternoon. But even then, if that doesn’t work for you, they’re totally open now to discussions around, you know, something for work, better in the evenings and we can work in the evenings. Laura Nelson: 22:06 We’ve also say created. Um, and mental health working user group where we discuss different ideas. Um, on a monthly basis. Anyone can join. Um, I can talk about ways in which we can make the working environment sort of a more mental health positive things that we’ve incremented are, and I used to find leaving on a Friday. If we work in right to the end of the day on a stressful project or something and you go home, you still call, it enables that stress in your head and come back in Monday morning. And the last thing you remember is just having a really stressful time at work and it doesn’t, it doesn’t exactly make you feel enthused about coming back in on a Monday. Then now we finish an hour earlier on a Friday we ordered, we’re all encouraged to get away from our desks. We stand out, we, there’s a few drinks that people want those snacks and we just have a chat about whatever. It doesn’t have to be work related just to have that downtime. If your end of working week isn’t as an ending on a negative or stressful point, it’s, it should be positive, you know, having a nice time with your coworkers. Nathan Wrigley: 23:14 Do these little meetings that you have and the sort of policies that you’ve read or they shared internally or do you, do you have ambitions or have you already kind of reached out to other similar organizations and so shared your good experiences? Laura Nelson: 23:30 They’re internal at the moment we have, we absolutely intend on publishing, they say that other people in other agencies can take a lick and use some of our ideas and make it just make it more clear to anyone, whose even thinking about joining us. That is, you know, it’s a good place. Nathan Wrigley: 23:49 It strikes me that some of the people that might end up listening to this podcast might be people who owned an agency. You know, they’ve got the growing, they’ve only got a few staff and then then something like this might come across their path and having access to that would be great. I mean, I don’t know if this, if it’s the sort of thing that WP and UP try to publish and have a central repository of all that stuff, but it would be, it would be really useful. Laura Nelson: 24:13 Yeah. I’ll speak to the people ops department, I’m sure about, I have no issues with sharing. Nathan Wrigley: 24:19 I wonder if there’s sort of like legislation. I mean obviously there’s, you know, the certain things that that have to be done, but it sounds to me like Pragmatic have been thoroughly amazing. You know, they’ve gone above and beyond what they had to, I mean the idea of having a meeting in a cafe or something and then the your boss basically saying, look, just stop worrying about it. That’s extraordinary. It’s amazing. Laura Nelson: 24:43 Yeah. I’m very, very fortunate and, and unfortunately in the past. I’ve had not so positive experiences with mental health work. It was, and I think that added a lot to my concern about returning to work off to having this time off when it happened. It had, this wasn’t my first time ever been signed off work in a previous role was being signed off. Not for as long, a couple of weeks. But the CEO, there’s a piece of gossip and told everyone I was crazy and mentally unhinged, which with a really horrific thing to happen. You don’t think it happens? It does. It definitely added to my anxiety about what happened, um, in 2017 but Pragmatic were, yeah, they were brilliant about it. They continue to be ready to get if I am like from everything just to anxious, so I don’t want to come into work. They never questioned me about it. Laura Nelson: 25:41 And I’ve made sure that, obviously not everyone has seen managers me, but I’ve made sure that it’s, that is the key thing that the managers to recognize that, you know, yes he wants to help with all the, you know, you could be asking, Oh know what is it that made you feel like that? So I’m like, what can we do to stop it? Having lived that. But I know why you want to do that. Those are very, you know, you kind of bring in some practical actions and find out what was going on. But often when you’re in that state, it that can’t be, it can’t be that helpful because then automatically feels like, I know they do such a bad thing and there’s this pressure for me to, in Britain not happen again and read to be okay. And one of those, and you know, it’s, it’s, it’s really tricky one. Laura Nelson: 26:36 Um, I’m probably not making it sound very easy for managers, but all we really have to do is listen. I, that’s it. And that’s it. Taking, not from what you need or the companies needs focusing on that individual. And from a commercial perspective, you know, you do you need to consider that if you own an agency, you’re going to get far more out of your employees if you treat them with that respect. My last, in my last role where that happened, as soon as I found that that happened, I was like, well, I’ve, I’m not, I not, I’m not going to bother. Nathan Wrigley: 27:18 Is there anything, um, on a sort of like practical level within the office, let’s say for example, you, during the course of a particular day, you, you feel that something’s happening. Um, I’m about to undergo something. Do you have like a, a place where you can go or is it just a question about it? I’m just going to go home and everybody’s okay with that. Laura Nelson: 27:36 Um, so you can just go, home, that’s fine. Sometimes I do that. Our office is across two levels and there’s quite a lot of space and there are lots of quiet spaces. So the um, I’m actually currently sat in the room now, which is sound proofed to an extent. Um, can, is tucked away slightly. So if I did feel I needed to get some space away from everyone I can go in here, you know, I’m in Brighton beach is just down the road. I often just feel like I’ll be back in about half an hour, I’m just going to go get, have a little bit of a walk and some fresh air. Nathan Wrigley: 28:18 Do you do that? I know for me that um, I always say that I say that I do that more than I do that. Laura Nelson: 28:25 Yeah. I’m, I’m not, I never, exercise is brilliant mental how I know that the thought of going to a gym or doing any sort of exercise and they go running or something fills me with anxiety, the opposite effect. Going, getting some pressure and some like, just having a little walk is of an easy way of achieving that I think. And I probably am the same. I probably say I do a lot more than I actually do end up doing it. Nathan Wrigley: 28:56 Is there anything else you want to add about your experiences or your, the way that work has changed? Laura Nelson: 29:01 I think I’d preferably, from what I’ve said, knife I’ve made potentially made out to be quite easy, like an easy process. It absolutely wasn’t an easy process and new things all very difficult. Um, especially the eye opening up stuff. It’s taken me a long time to get to the point where I’m comfortable telling people, you know, I was like, I know I’m not feeling very anxious today to get to that. It’s something like seven years ago, I wouldn’t even dream even less than that. You, know probably for years ago I wouldn’t have said, you know when the said that, but see, watch, break it, break it down into chunks and especially when it comes to talking about it confide in, you know, don’t just recommend, going out on the street and screaming it. It’s not going to help you just confide in a couple of people to begin with and ease yourself into it because it’s scary and it isn’t an easy thing to do. But when you do start doing it and it’s from the first time, you’ll realize how like how much better feel. Nathan Wrigley: 30:26 If you’ve experienced any of the issues raised here, then you should know that WP&UP is here to help you visit WP&UP.org or call plus four four (203) 322-1080 the press forward podcast is brought to you today. by Green Geeks Green Geeks offers a specially engineered platform that offers WordPress users web hosting that is designed for the fastest, most secure and scalable hosting available in multiple data centers. Their WordPress hosting makes. Deploying and managing WordPress websites easy with automatic one click installs, managed updates, real time security protection, SSD raid 10 storage arrays, powercacher and expert 24 seven support to make for the best web hosting experience and we think Green Geeks for their support of the press forward podcast, right? That’s it for this week. Remember that there’s help available for you or people that you know over at wpandaarp.org please spread the word about this podcast. Tell your friends and subscribe on ITunes or your favorite podcast player. So until next time, Hashtag press forward.